The idea that cloud services will make a big difference to businesses has been a recurrent theme of technology discussions for the past 10 years or so. Certainly, businesses have indicated that they are ready to adopt cloud computing. 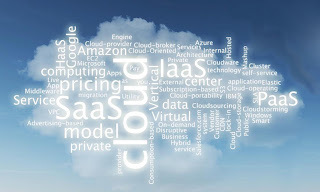 A study in the first half of 2011, which polled IT and business decision-makers across the private and public sectors, found that almost half already use cloud services. The private sector leads the way, with those employing more than 20 people ahead of smaller businesses in adoption (52% v 38%) – even though the latter could gain more because of the lower capital spending Cloud Computing requires. The driver for adoption is overwhelmingly cited as flexibility, with only 16% citing cost savings, though that figure rockets up to 69% among those already using cloud services. Read more to find out why Cloud Computing is a bright light for business. Established vendors entering cloud computing are often already outsourcing partners to the firms that are now frequently looking for an infrastructure service provider. But that doesn't mean they have an inside track on the business. They do not. Established vendors are going to face stiff competition for outsourcing business from the new infrastructure providers: Amazon, Rackspace, and others, according to a report by Pricewaterhouse Coopers. "Service providers in the IT outsourcing space have, after all, profited handsomely by taking on their customers' highly complex, one-off collections of IT assets and finding ways to manage them more efficiently than their customers are able to," states the Pricewaterhouse report. SMB Nation: Where Did All the Cloud Supporters Go? Held Sept. 30 to Oct. 2 in Las Vegas, SMB Nation caters to the thousands of mostly smaller IT providers who serve companies with a few to a few dozen employees. While last year's show was packed with sessions about building a cloud service practice, this year's agenda leaned more heavily toward technical content about conventional, on-premises infrastructure solutions. That change stemmed from a poll of potential conference-goers indicating tepid interest in cloud-related topics, according to Harry Brelsford, founder and chairman of SMB Nation Inc., the Bainbridge Island, Wash.-based company that hosts SMB Nation. Will cloud computing, the latest buzzword on everyone’s lips in the IT business, provide the answer that Indian IT majors, faced with the prospect of volatile if not declining revenues, are looking for? Or will it go down in history as another overhyped idea that was destined to remain just that? Despite its potential, cloud computing has not yet taken off in a big way. Why? According to a research paper from Deutsche Bank, quoting from a survey by PricewaterhouseCoopers into the German cloud computing market, the reasons have to do with data protection and compliance (60%), standardisation of internal processes (53%) and arranging individual service-level agreements (49%). So, if cloud computing is to deliver on its promise, service offerings will have to satisfy individual and legal standards with regard to data privacy. The term "cloud computing" has been used to describe a wide variety of services and frameworks recently, which has caused confusion among many in the industry. In one definition of the cloud Google provides a cloud service such as Gmail or Google Docs that you might use but do not need to maintain. Another cloud definition is a lower-level service such as Amazon’s EC2. This service provides server and storage instances that you can then manipulate to run your own applications and services. Essentially, they build and maintain the servers and storage, and you are responsible for installing and maintaining the applications that run on those instances. In this particular case, the servers and storage are not physical, but rather virtual instances that are largely independent of the hardware. Don't forget to add your comments and suggestions. I will have more around the cloud a week later.